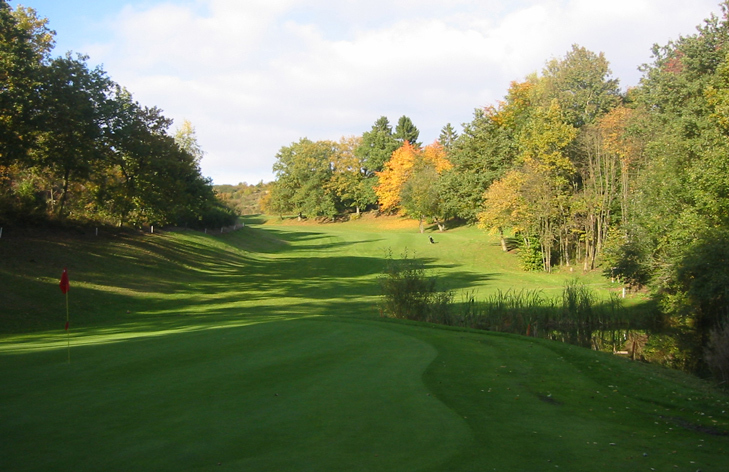 Golf de Clervaux Hole 1: The starting hole offers a great look at the golf course to come and features a drive with dense planted trees to the left and a lake within reach. The approach then goes left around the trees and over the water to a comfortably non-guarded green complex. 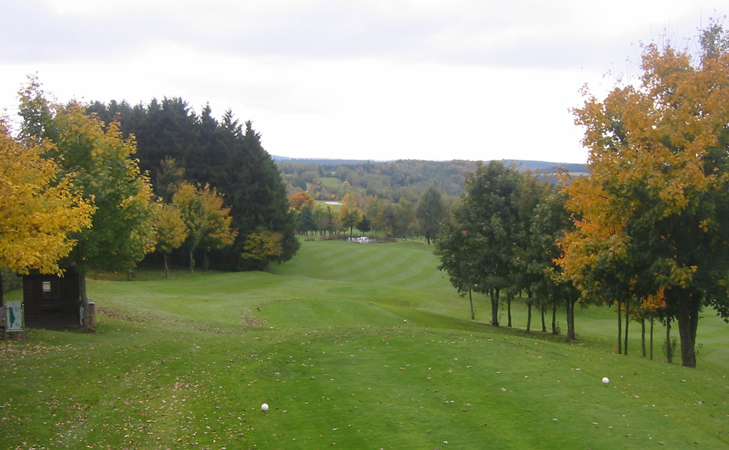 Golf de Clervaux Hole 2: With Luxembourg being a small country, for some reason, a 612 yard par five feels out of place. However, this is a solid three shot hole with elevation changes and the second shot having to possibly cut over a bend in the road on the left. 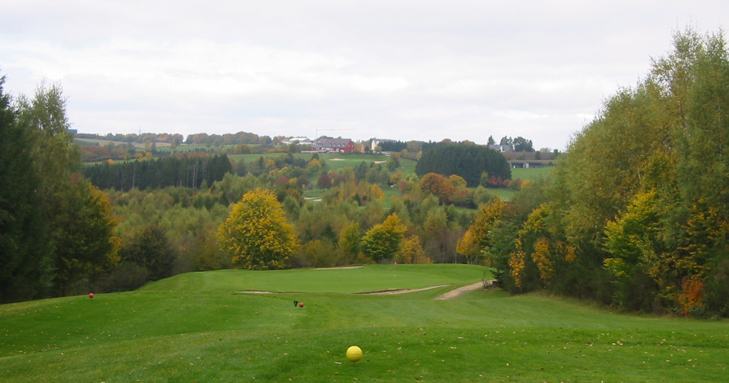 Golf de Clervaux Hole 6: The views of the golf course and clubhouse from the tee are nice on this short hole, which seems easy enough with a wide green. However, with the wind, judging distance can be tough and the fronting bunker is large, but not as large as the death drop off behind and to the left of the green. 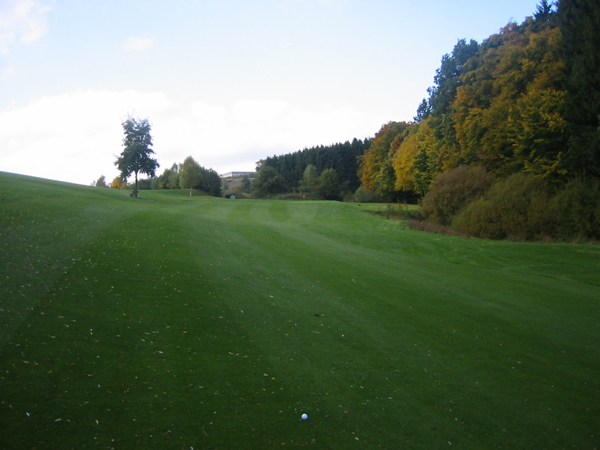 Golf de Clervaux Hole 8: Severely downhill and short, this par four may not even require driver to reach it. However, there are hazard strokes awaiting in the lake short and forest left or long. The lay-up will leave a short chip to the green but will likely be from an uneven lie. Golf de Clervaux Hole 11: After the long hike down the forest path to the tee box, the only reaction can be “What the X#$%?” as the golfer finds themselves at the bottom of a valley looking at the uphill and severely left to right sloped par 5. What makes it more interesting from a golfing perspective is the natural creek running down the entire right side of the hole. What makes the situation worse is, after climbing all the way down, the green is at least 4 clubs above the tee box, making for another difficult to walk hole. 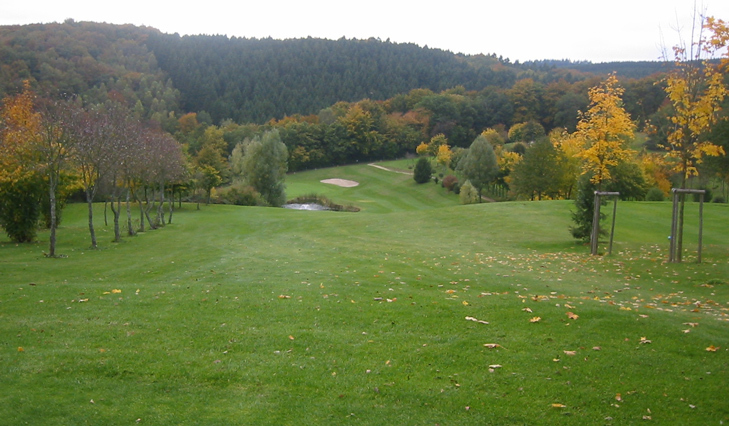 Golf de Clervaux Hole 16: This downhill par 4 has possibly the worst landing area ever as observed from the tee. The shot has to be straight between large trees left and hillside right and the fairway is only 20 yards wide. Unfortunately, about 200 yards from the tee is a water hazard that can best be described as a drainage ditch and is only the size of a Jacuzzi, but still takes up half the fairway. So, the tee shot must stay short of the ditch, leaving a very, very difficult shot to the green, or must carry at least 220 dead straight to avoid the nonsense. The saving grace of this hole is the fact that the green is so small and guarded so devilishly by a lake, that the option to not take the aggressive play off the tee is really eliminated, making the terrible landing area a mute point and the hole really not quite as difficult, but more intriguing, once the golfer has played it before. More Luxembourg Golf Course Reviews.